"Treating All of Your Possessions Like Gold"
Whether you are moving to another town or to another coast we can make the trip. Whether 20,000 sq ft or 200 sq ft, we have the expertise and equipment to move it all. As a Christian owned and operated business, we pride ourselves on providing quality service. Moved with us? We want to know what you thought. Let’s face it, moving out of your home or workplace and into another can be one of the most stressful experiences you ever go through, but one decision you can make to have it go easier is choosing a moving company you can trust. With 50 years experience and over 17 years as an independent mover, our knowledgeable staff is prepared to give you a smooth transition. As a Christian owned and operated business, we at Golden Movers pride ourselves on providing quality service, personalized customer care, and competitive prices you can afford. Scott was awesome...efficient, diligent and extremely helpful!! Moving an elderly parent half way across the country is an experience I won't soon forget! Scott made a hectic, overwhelming event go very smoothly and I am forever grateful. 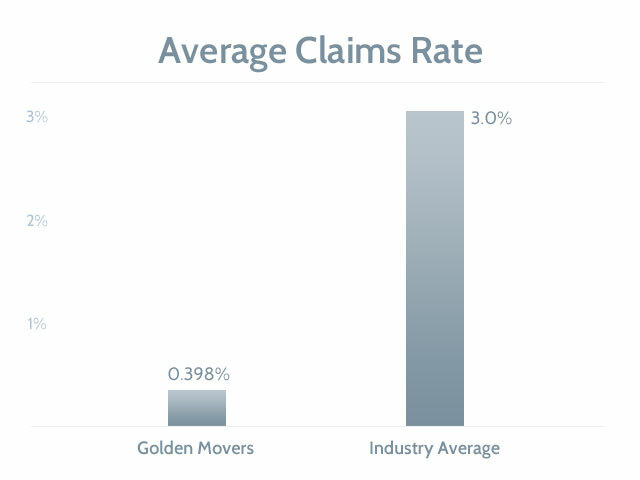 We were extremely pleased with Golden Movers! The entire experience from quote to packing and unpacking was so stress free. Josh was honest and straight forward with the quote and the team of people that showed up to pack and unpack us were very polite and diligent. Moving is always scary and you hear stories of lost and broken items, but everything arrived in perfect shape. Our move in date kept changing and Josh and the team were very flexible and patient with us. I highly recommend Golden Movers! Please help support our hunger relief efforts by making every move an opportunity to feed a family in need. Move For Hunger is working hard to fill our communities’ food banks. When people move, they tend to throw out a lot of “stuff.” Sometimes that “stuff” is food that could be given to a family in need rather than thrown away. Moving? Visit Move for Hunger or ask our sale's associates today how you can help!